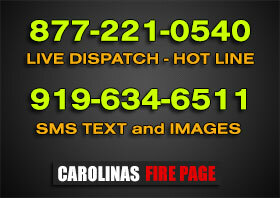 NASH COUNTY – Shortly after 22:00 hours on Saturday, October 4th, Nash County 911 received a call from a resident reporting their home on fire with flames coming from the rear of the home. WILMINGTON – An outside consultant is recommending Wilmington and New Hanover County consolidate their fire departments into a single countywide agency. MOORE COUNTY – A hog farm building was totally destroyed in an overnight fire killing all of the hogs inside the structure in northwestern Moore County. WAYNESVILLE, NC – A helmet camera captured Waynesville Police officers rescuing a man from a burning building this weekend.